Sapa is one of the must - see places when you travel to Vietnam. It is not only famous with beautiful moutain, rice terrace but also the cultural characters of ethnical people which you hardly find from other places in Vietnam. Mu Cang Chai is in the South - West of Sapa, it is only about 160 km far from each other but it takes almost 5 hours by bus because of narrow moutain roads. 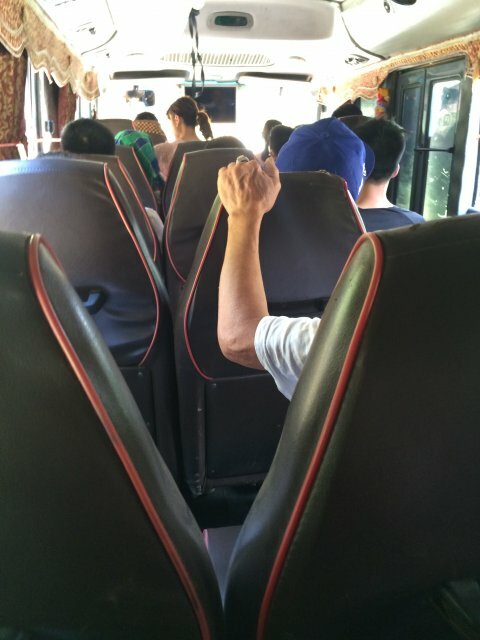 - Bus type: Seating bus. 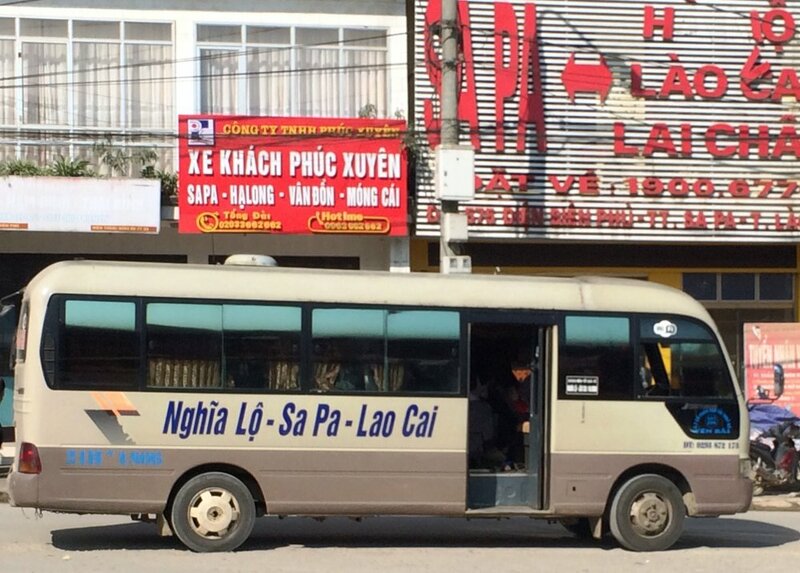 - 8.15 - 8.50: Our bus driver picks you up from Sapa bus station then takes 5 hours to Mu Cang Chai. On the way, we have 2 short break for bathroom and lunch. You also can find you some snacks for breakfast there on your own. - After 5 hours: Arrive in Mu Cang Chai, get droped of here, journey finishes. Included: Bus ticket from Sapa to Mu Cang Chai. Excluded: Insurance, meals, drinks, personal expenses. Sapa Bus station – O Quy Ho village - Thac Bac - Cau May - O Quy Ho pass - Son Binh - Huoi Ke - Muong Khoa - Tan Uyen district (Lai Chau province) - short break - Than Uyen district (Lai Chau province) - Mu Cang Chai district - Moon guest house - Mu Cang Chai bus station (last stop). - 9.30 am - 10.00 am: We pick you up in front of Moon 2 guest house at Mu Cang Cahai town, getting on bus heading to Sapa. It is 5 hours from Mu Cang Chai to Sapa including 2 stops on the way for stretching your legs and bathroom. - You will arrive in Sapa after 5 hours, this bus will drop you hotel in Sapa bus station in Sapa town. Finish your bus journey. Included: Bus ticket from Mu Cang Chai to Sapa. Moon guest house 2 – Than Uyen district (Lai Chau province) - Tan Uyen district (Lai Chau province) - Muong Khoa commune - Huoi Ke - Son Binh commune - O Quy Ho Pass - Thac Bac - Cau May - O Quy Ho village – Sapa bus station (last stop). You can rent motorbike in any travel agencies in Sapa to slowly driving to Mu Cang Chai and back . For a good quality for roads motorbike, it costs about 10 USD per day which can be for 2 people sit on. You should drive slowly to enjoy landscapes and stop for photos shooting on the way. !!! Warning: You should be carefully before renting because roads from Sapa to Mu Cang Chai are very dangerous with traffic jam and high pass. You can book and join a tourist bus from companies who organise tours From Sapa to Mu Cang Chai but it really depends. Because tour from Sapa to Mu Cang Chai is not popular. Therefore, sometimes you can book - sometimes you can not. And it can be cancelled in a short advance when they cant collect enough customers to make their tour run. You can take a taxi to Sapa bus station to book ticket. Bus timetable is very flexible. Purchasing bus ticket by yourself, it means you have to arrange everything you do by yourself: taxis, contact driver, finding the right bus among hundreds buses in station... It is not very easy when you dont speak the language and local people here don’t speak English too. - During festivals time in Vietnam (Independence holiday, King ceremony holiday, New Year holiday...), local people often plan their holiday in advance. Bus tickets fully booked very soon. Therefore it is difficult for you to purchase ticket by yourself if you have a narrow plan. NOTE: This local bus is in a poor condition are, it is a bit old & crowded with people & goods. 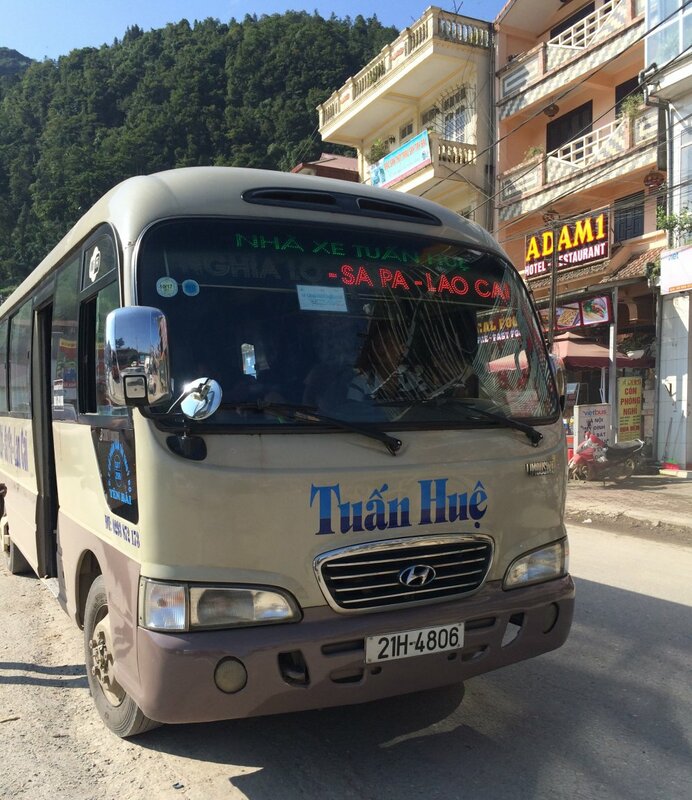 But this is only the option we have from Cao Bang to Ha Giang till now. Eventhough we are sure you have your own seat.